For a second time we have teamed up with our friends; Yaya Supperclub, to bring you an intimate evening focusing on grape and oil. 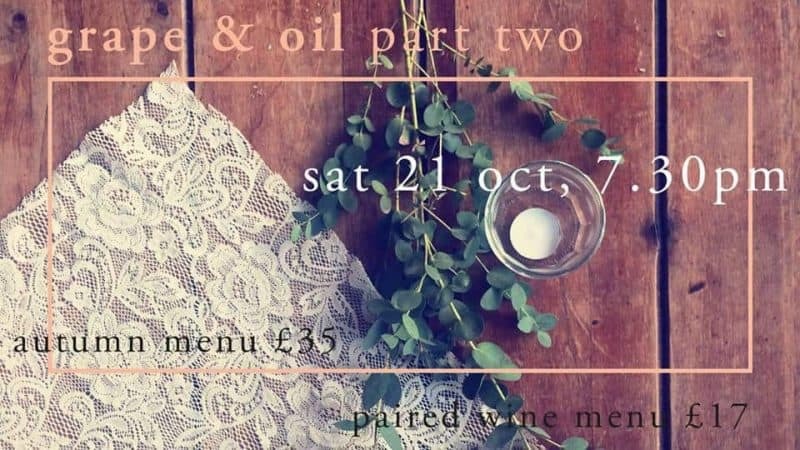 The menu on the evening places an emphasis on one of Greece’s most important ingredients; olive oil, while we will be guiding you through unique Greek wine choices curated to the menu throughout. The supperclub consists of 3 courses of sharing plates and one welcome cocktail on arrival, all included in the ticket price. Wine and other drinks can be purchased on the night – either our suggested recommendations or your own choices from a wider selection. You can expect both traditional and re-invented Greek dishes made with a combination of authentic Greek ingredients and locally sourced produce.